Eye catching elegant period details throughout the 3000 + s.f. Queen Anne style home. The landmark 'Goetze house' tells a story that spans three centuries. Two story home located in a neighborhood of houses similar in age and rarely come to the market. Step back in time as you enter the storybook home with high ceilings, double parlor, music room, sun room and a huge kitchen that measures the width of the back of the home. A total of four bedrooms, one on main level; three on the upper level each with it's own half bath. Two full baths on the main level. Home has operated as a bed and breakfast. Double parlor with double pocket doors enjoy natural light and reflect rich era characteristics. Covered wrap around front and side porches and a second level balcony over looking the grounds. 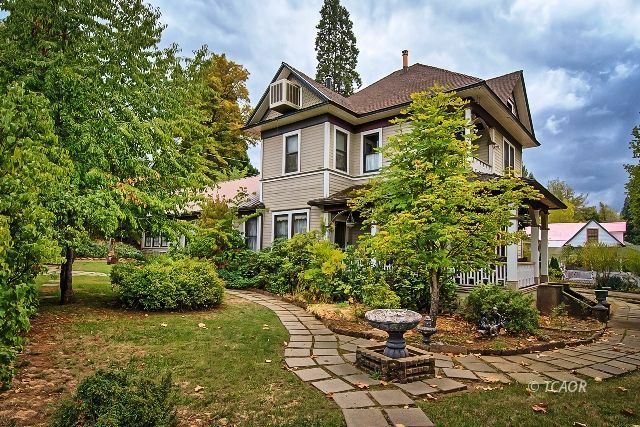 Not only is this home a true Victorian gem, it is also Weaverville's most loved historic home owned for generations by the town's treasured lady, Tody. Known for her wonderful hospitality, spirited stories, generous heart and loved by hundreds of children throughout the 50's, 60's and 70's. A wonderful opportunity awaits the fortunate new owner(s).